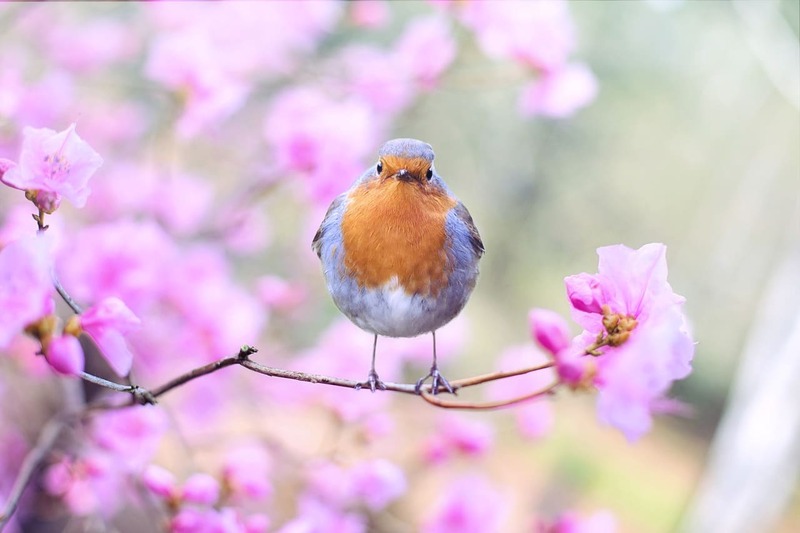 Spring is a season of renewal, and after the long winter months spent indoors, you are ready to give your home a much need sprucing up. If a complete NJ home remodeling project doesn’t fit your budget or schedule at the moment, don’t worry. There are several smaller renovations you can do that will give your home a sparkling new look and feel this spring. You can create an accent wall in any room of your home in order to give the entire space a fresh new look. This can be done by painting one wall in a different color or by adding texture. Depending on which wall you choose, it can create a very dramatic appearance or it can simply make a room look larger. The first thing you need to do is choose the room and the wall to change. A living area can actually look longer if you choose a narrow wall at the end of the room. In a bedroom you can pick the wall behind the bed. Painting is the least expensive option, but adding texture with stone, brick, or wood panels can be amazing. The fireplace is an attractive centerpiece in any room, but the same old look can grow tiring after many years. A new mantle is a quick and easy way to provide your fireplace with a spring makeover. There are many businesses that manufacture pre-made mantles that can be installed or you can hire a craftsman to custom make a new one. A simpler project would be to change the fireplace surround or screen. The face of the fireplace can be resurfaced with stone, brick, or carved wood. There are even specially made paints for masonry work that you could use to change the overall color of the existing brick. A new screen that compliments the feel of the room will be the perfect finishing touch. The front door is the main focal point when it comes to the exterior of your home. It should draw attention without looking out of place, and it needs to welcome family and friends inside. Even the most beautiful front door can look less than attractive when it is hiding behind an old storm door. You can replace a tired screen door with a full view glass screen door. If you haven’t shopped for a screen door in quite a while, you will be surprised at all of the options that are available. Special features like a screen that rolls up into the door add convenience and allow you to open the front door to let in natural light on warm days. Over time, a hardwood floor can begin to look dull and lifeless. Once the surface is scratched and the top layer of finish wears down, you are left with a floor that is far from attractive. A scruffy floor can actually make the entire room look less appealing. Fortunately, you can have them refinished in order to bring back that brand new look and feel. Your contractor can help you locate the right people for the project. These flooring experts will come in and buff out all of the scratches and reapply several coats of polyurethane to protect the surface. If your floor has suffered more than just the typical wear and tear, they may need to completely sand the surface down to the natural wood. Curb appeal is important. It increases the value of the house. Most homeowners take the time to do necessary repairs when doing a spring makeover, but the foundation is often forgotten. If your foundation is the typical cement blocks that many homes are resting upon, there are ways to give it an elevated look. By adding cultured stone to the foundation walls, you are creating a beautiful base that makes the entire house look better. You can choose from simple brick patterns to textured natural stone finishes. Depending on the stone you choose, you can create a sleek and modern look as well as a country cottage style. Architectural mouldings can be the finishing touch you need. These trim pieces add a look of elegance that is otherwise missing while giving your room a fished appearance with nice clean lines. For example, place a chair rail around the entire room and add wainscot panels underneath for a look that can be formal or casual depending on the colors and style you choose. Crown moulding placed along the top of the walls will add visual interest to the space. These details can be used in any room in your house. They add charm to the bedroom and are perfect in a bathroom. When architectural mouldings are used in the kitchen, they tend to soften the look of so many hard surfaces. It is hard to spruce up a bathroom without doing a complete renovation, but sometimes a simple change makes a huge difference. The sink, surrounding countertop, and underneath cabinetry is the focal point of this room. Replacing them can completely change the space, making you feel like it was remodeled. Do you have a pedestal sink that leaves you with no storage or counter space? You can have a small vanity installed that won’t take up more space but will provide you with some hidden storage underneath as well as a small counter that frames the sink itself. When space is at a minimum, consider a vanity that is the same size as what you already have but includes shelves and drawers for better organization. The kitchen cabinetry often over powers everything else in this room. It is important that it looks fresh and updated. If your drawers and cupboards are scratched, worn, or outdated, consider having them replaced. Modern designs allow you to go beyond the traditional wood tones with painted surfaces that are easy to clean. You can combine two colors for a more interesting look, or simply stick with a monochromatic design. 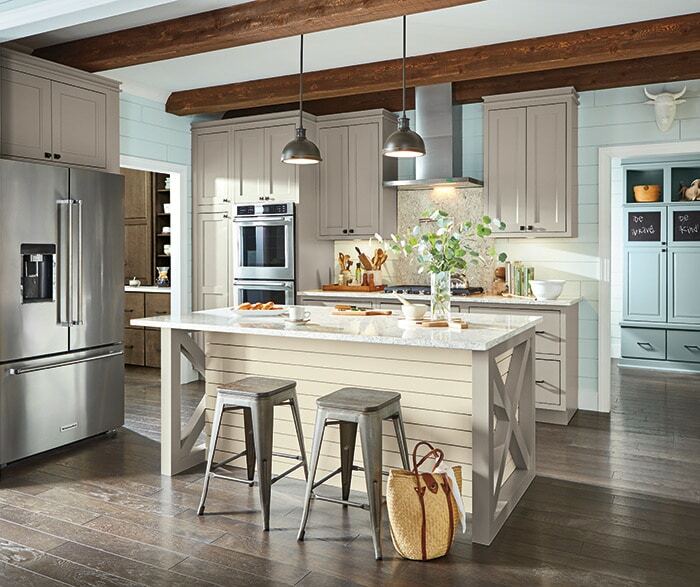 How you use these colors and wood tones will completely change the look and feel of your kitchen. Use darker colors or wood tones to create a cozy, warm environment. The modern bright whites that are being used in the latest farmhouse styles will open up smaller spaces without having to take down walls. Completely renovating the front porch would be amazing, but it isn’t always necessary. You can give the exterior of your home a much needed boost by simply upgrading a few of the features found on the front porch. Tackle this project by thinking of the porch as another room in your home. Start at the top, and work your way down. Sanding and painting the ceiling immediately updates this area. Add interest to the walls with a fresh coat of paint or have a stone wall installed. Refinish the floor with the same care as you would inside. Masonry paints can be used on concrete while garage and porch floor paint can quickly upgrade a worn wood surface. Finish the transformation by adding little details like a new railing, flower boxes, or built-in seating. Your home may have shutters that are faded and look outdated. You could even be living in a house that never had shutters in the first place. Having new shutters installed along the sides of each window are an easy and affordable way to give the front of the house a makeover. Just like you would hang curtains or drapes up around the interior of the windows, shutters give the exterior of the window a finished look. Once you begin discussing your options with your contractor, you will discover plenty to choose from. Vinyl shutters eliminate the need to re-paint each year and are lightweight. They come in traditional louvered designs as well as rustic country styles that are less formal. Choose a color that coordinates with the existing trim work you already have on the house. Sometimes it isn’t the décor or the architecture in a home that needs sprucing up. It could be a matter of lighting. If the rooms in your home don’t have adequate lighting, they won’t be beautiful or functional. There are three types of lighting you need in every part of your home. This includes task lighting, general lighting, and accent lighting. General lighting would be the main ceiling light. It illuminates the space. Task lighting allows you to use the room for its intended purpose. For example, under cabinet lighting in the kitchen, vanity lights in the bathroom, or table lamps in the bedroom and living area. Finish with accent lighting over wall art, in curio cupboards, and in dark corners. 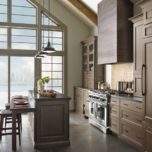 When it comes time to begin your kitchen remodel, it is important to be familiar with today’s latest NJ kitchen cabinet design trends. The cabinetry is a large part of the kitchen. It is often the first thing people notice, and the cupboards definitely make a statement. You want something that defines your personality while still appearing trendy. At the same time you want them to withstand the test of time. 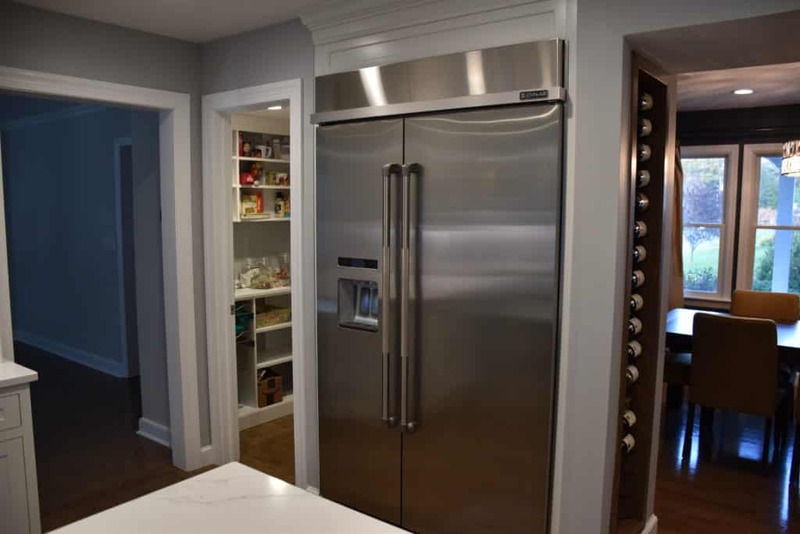 Understanding the latest designs, colors, hardware, and door styles will allow you to have some pretty good kitchen cabinet ideas in mind when you begin working with your designer and contractor. Kitchen cabinets used to be more functional than anything. Homeowners didn’t put much thought into them other than how much they would hold and the storage options they could provide. Today’s home cooks want function and beauty. Cabinets are available in several colors and styles allowing you to choose ones that perfectly suit your personal tastes as well as your current home décor. When it comes to upper cabinetry, designers are using a variety of styles mixed together to create interest in the kitchen. Among the trending options many homeowners enjoy are double stacked cupboards overhead. The main cupboard is the traditional size, but instead of leaving an open space between the top of the cabinets and the ceiling, a second smaller cupboard is incorporated into the design. This looks great while providing you with a special place to store those seldom used items like holiday dishes. Drawers are taking over when it comes to the lower cabinetry. Instead of all doors across the lower half of the kitchen, consider mixing in stacked drawers. Not only does this make the cabinetry look more intriguing, it will provide you better storage options for spices, utensils, and other small items that can get lost in a large, open cupboard. In today’s world of kitchen design, plain goes a long way. The simple styles are trending due to their clean lines and flat panels. Many homeowners appreciate a plain cupboard door for the versatility it provides. These doors blend in just as nicely with a country theme as they would in a contemporary space. 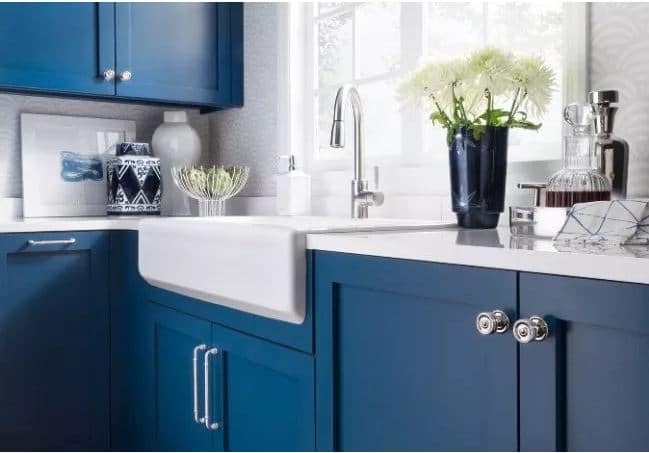 If you are looking for a bolder statement, you can easily change the appearance of your cabinetry with color, glazing, or hardware. Shaker style kitchen cabinet doors are a popular choice these days because of their plain styling. 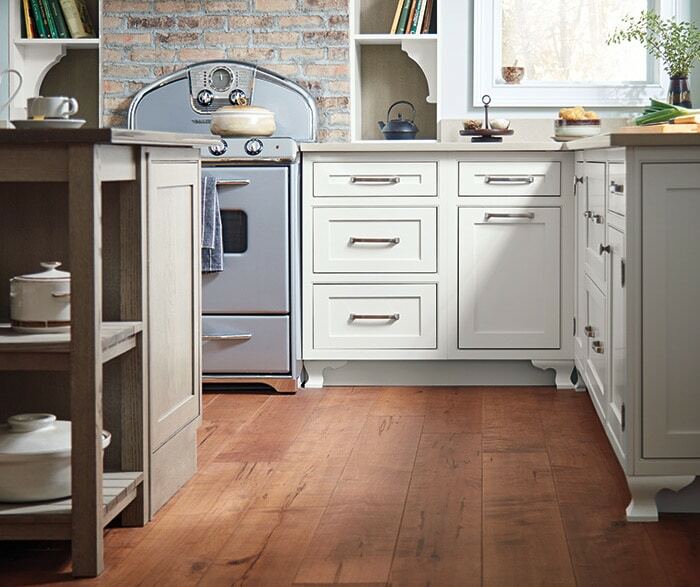 Shaker styles are popping up in both farmhouse designs and post-modern kitchens. They blend the best features of a traditional door with the most sought after modern designs. Best of all, they can be dressed up by adding a few basic additions. Adding glass to a plain cabinet door instantly gives you visual air space while showing off the patterns of dishes kept inside. This also gives you another way to add accent lighting in the room by illuminating the interior of the cupboards. Family friendly kitchens often include a plain cabinet door painted with chalk board paint. It creates the perfect place for leaving one another messages or jotting down a grocery list. Another trend to consider is taken from the European styles. Frameless cupboards and drawers offer a minimalist design style that is catching on quickly throughout the United States. Include open shelving in the mix, and you will immediately have texture, space, and easy access that any home cook can appreciate. The finish and style of your cabinets will be the backbone of the room. They comprise the largest amount of visual space. This makes choosing the right color extremely important. The following are a few of the biggest trends for 2019. A traditional white cabinet works nicely with any kitchen design and will never go out of style. With so many shades of white available, you don’t have to worry about them looking too stark. Discuss the option of using warmer shades of white, along with glazing options, with your designer. Once considered an out of date finish, oak is making a big come back in the world of kitchen design. In fact, many of the warmer woods are popping up in the latest kitchen remodeling plans. Wood tones give homeowners the natural textured look they are after while blending in perfectly with rustic and eclectic styles. The new farmhouse style is bringing a cooler look to rustic designs. Rather than choosing dark woods for country looks, homeowners are turning to bleached woods and reclaimed barnwood for a distressed appearance that offers the lighter tones being used in kitchen décor. Homeowners can find a multitude of colors available for their kitchen cabinetry. When searching online, it can become quite confusing. Chances are you will find several colors and tones that suit your new kitchen, but how do you decide? 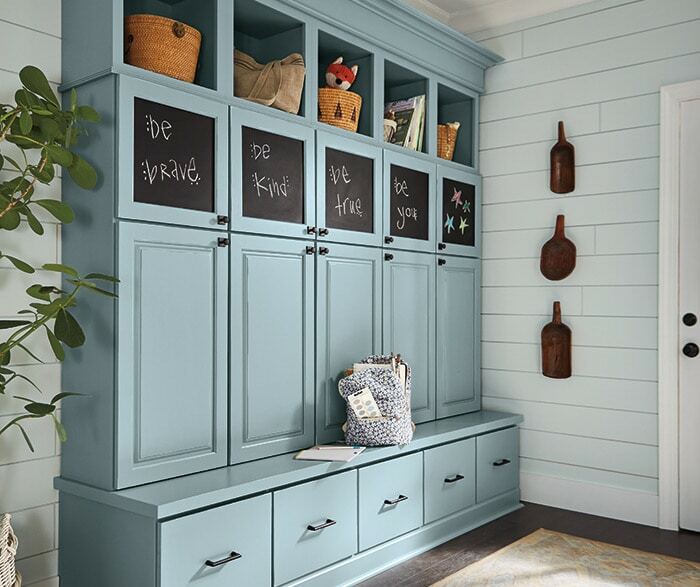 You can even mix wood tones with painted cabinetry. 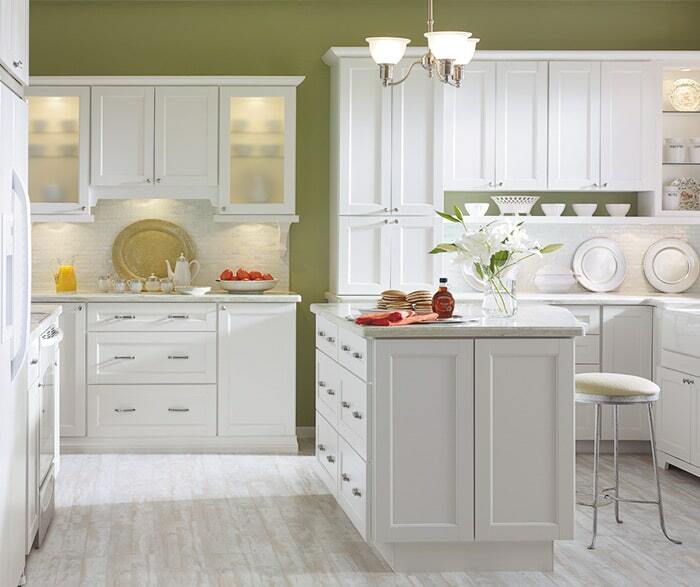 Consider using a pure white on upper cupboards while keeping the lower cabinetry in a natural wood finish. Another option is to use natural wood for the framing of the cupboards and drawers while painting the door surfaces. If you decide to use a color other than white, keep in mind that this is a very bold look. To keep things balanced, use neutral shades for your countertops and back splash. Use matching hardware on all drawers and doors to keep a coordinated look throughout the kitchen. Many homeowners don’t even think about the hardware, but the drawer pulls and door knobs are the jewelry of the kitchen. Finding just the right type of hardware will set off your new kitchen cabinets beautifully while blending in with the overall décor of the kitchen. 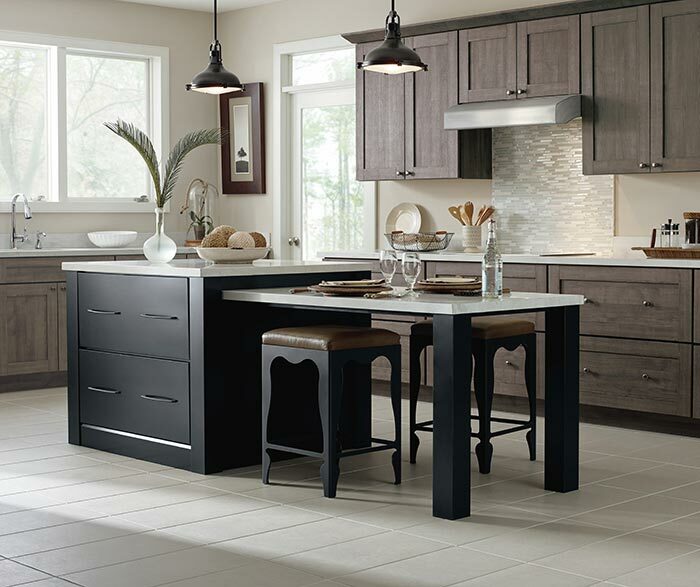 Matte black is being used as a contemporary option in many modern kitchens. It creates a bold contrast against white doors which makes the cabinetry a statement piece on the room. In contrast, chrome is coming back into style with a big impact. The shiny mirrored finish chrome provides is ideal for many contemporary kitchens as well as those decorated with a retro feel. The simplistic, yet eye catching, finish brings style to plain cupboard doors that other hardware options won’t. If you prefer a more traditional kitchen, oil-rubbed bronze or brushed brass will work well for you. Both look just as nice on a plain door as they do on ornate styles that suit the more traditional kitchen styles. Oil-rubbed bronze instantly gives you the look of an antique piece in any setting, and the brushed brass tends to warm up the look and feel of the kitchen overall. In addition to the finish, you will need to choose a shape. Knobs are the handles that you find mounted on doors and drawers with a single screw. They can add a simplistic affect to the cabinetry, and you can set them off with a back plate to dress them up. The following are some of the trending shapes available. Pulls will offer the same function as a knob, but they have a much different look. They also take up more space on the exterior of the drawers and doors. This results in them making a bigger impact on the overall look of the kitchen than what knobs will. The following are some popular shapes being used in today’s designs. Once you have decided on the style of doors, hardware, and colors for your new kitchen cabinetry, you need to pull it all together. Your designer can help you with this step of the renovation. Bring more than one option for each decision you have made. This allows the designer to easily match certain styles together. These experts know which hardware pieces will look best against the colors and finishes you like the most. They can also guide you towards the best options when it comes time to make the final decisions. The result will be a kitchen that flows beautifully with coordinating colors and finishes with hardware that reflects your personal style as well as your kitchens décor style. Need help with your Kitchen Cabinets? 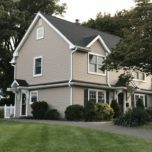 Hiring a winning home remodeling team can be tricky, but there are steps a homeowner can take to ensure that the NJ home remodeling contractor is a good fit for your project and has all of the skills needed to produce an excellent end result. These easy steps can be the difference between endless headaches or total confidence. Word of mouth is one of the best ways to find a good NJ home remodeling contractor. Ask your neighbors, friends and family about good experiences they have had with qualified professionals. Be specific when discussing a contractor. Ask them how the contractor handled problems, exactly what made it a positive experience, and if they would use that contractor again. Take advantage of today’s technology when searching for a good contractor. Check out their social profiles online as well as their reviews from previous clients. Browse their portfolios of past projects, and don’t be afraid to visit the project location to see the finished product. Do some research on any home remodeling contractors that appear to be good candidates. Visit the contractor’s website and make a few phone calls if necessary. Make sure they have all of the required licenses from the state and the local municipalities. You can also look for recognition from professional associations such as the National Association of the Remodeling Industry, the National Kitchen and Bath Association, or the National Association of Home Builders. Be aware, though, that not every certification is equal. Do your research to see what is required for these honors. Narrow down your options by asking perspective contractors what systems are in place to manage the details of a remodeling project. Once you have your candidates narrowed down to the top three, interview each one. How a contractor chooses to answer your questions is very important to finding the right one for your needs. Pay attention to how they communicate as well. Communication is a two way street, and you want your remodeling contractor to feel free to ask you enough questions to complete the job to your expectations. Don’t be afraid to ask a potential contractor to see some of their past work. A remodeling company that stands behind their work won’t hesitate in showing you their finished work. Ask for references too, and call these customers to check up on the contractors work. Ask how they did when it came to executing the work they were hired to do. Ask if they were pleased with the finished project, and if they did have any issues, did the contractor resolve them to their satisfaction. You can also ask about their budget. Was the contractor willing to work with the amount they wanted to invest in the remodeling project, and did they stick to the budget along the way to completing the work. Most importantly, were they pleased with the final outcome, and is there anything that they wish could have been handled differently. Your instincts and intuition should not be ignored during your search for a winning home remodeling contractor. Listen to that “gut” feeling you get when interviewing possible renovation contractors. If there is anything that just doesn’t feel quite right, rethink your decision of considering them to complete your remodeling project. You will be investing a lot of time and money into your home’s renovation. You will want a contractor that you feel comfortable talking to, even when your opinions may differ. You will know when you find a contractor that fits with your needs because it will feel natural to have a conversation, and you won’t be afraid to ask them questions. 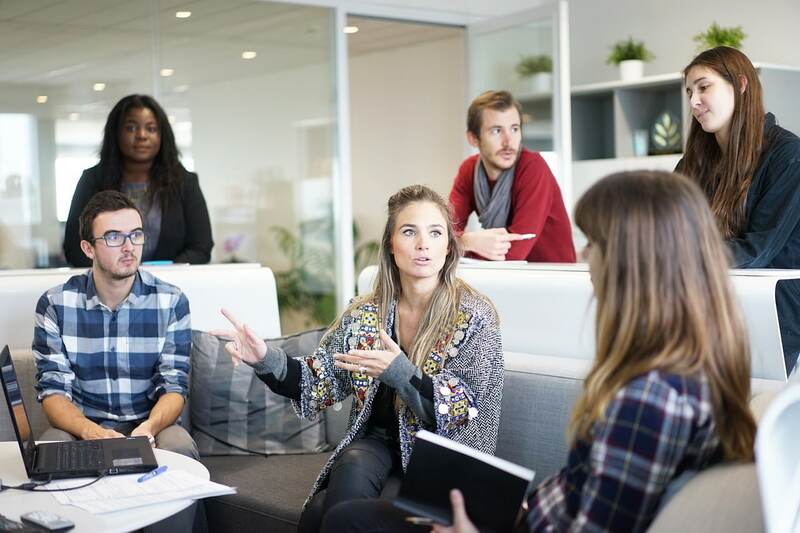 Following these simple steps will help you hire a winning team. You will go into your remodeling project with the confidence that the project will be handled professionally with the finished results you are dreaming of. Need help with your Home Remodeling Project? At some point in time, you will be faced with the challenge of selling your parent’s home. There are several reasons why a child may need to put their mom and dad’s house on the market. The parents may need to move into a single floor home due to health conditions, they might be staying with a relative who will care for them, or they could have passed away. Regardless of the reason for selling, you will want to make the process as quick and easy as possible so that everyone involved can move on. When it comes to selling your parent’s home, you need to think about what potential buyers are looking for. Adding a home addition, or remodeling specific rooms in the house, can increase the value of the property and make the home more appealing. Most new home buyers are looking for a house that they can move into without worrying about having to start renovation projects or finish up the previous owners remodeling jobs. Taking care of these necessities before putting the property on the market will add value to the bottom line and create a positive impact on the ease of selling. If you are considering ways to increase the value of your parents home, a NJ kitchen remodeling project is a great place to begin. A newly renovated kitchen will make the home easier to sell as new home buyers consider this to be one of the most important spaces within the house. It is where they will prepare meals, enjoy dinners together, and entertain family and friends. This room truly is the heart of the home. Just about every kitchen remodel will increase the value of a home. You can talk to a home remodeling contractor about what areas will best increase the bottom line when it comes time to sell. They understand that home buyers are more willing to pay a higher price when the purchase includes high-end finishes and modern upgrades. A recent survey done by Realtor Magazine showed that 69% of new home buyers said they would have gladly paid more for a house if it had new, modern appliances. 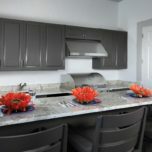 The study also found that 55% were agreeable to a higher price when the kitchen included granite counter tops. Studies such as these are a wonderful way to see what buyers are looking for in a home. 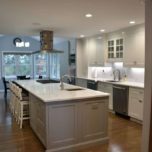 Investing in a remodeling project such as a kitchen renovation will help your parent’s house get noticed, but you want to make sure that you will be able to recoup a large portion of the money you spend. What Type of Return can You Expect? The amount you can recoup from your investment in a remodeling project will depend on several items. How much you spend and the exact type of renovation work you choose will both be major factors in the final figures. You can expect approximately a 54% return on an upscale remodel according to the national average. This increases to 81% for smaller remodels. It sounds odd, but taking on even a small project like a bathroom remodeling job can make a large impact on the value of your parent’s home. A bathroom with modern features such as a walk-in shower or sunken tub will make the home more appealing to buyers. Consider working extra storage space into the design as well as double sinks for an even bigger return on your investment. Use these figures as an estimate of what to expect rather then an accurate rate. Many factors influence the actual amount you can get when selling the home. For example, where it is located will make a difference. The rate of return may rise as high as 93% if you are selling a home in the Pacific area while it will hover around 68% in the Midwest. The housing market is constantly changing as well. 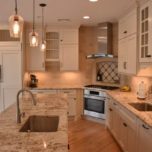 Discuss these factors with your NJ kitchen designer before agreeing on a final plan. Regardless of why you need to sell your parent’s home, a remodeling project is a great way to increase your bottom line. Even the smallest of renovations will increase the home’s value and make it more appealing to potential buyers. 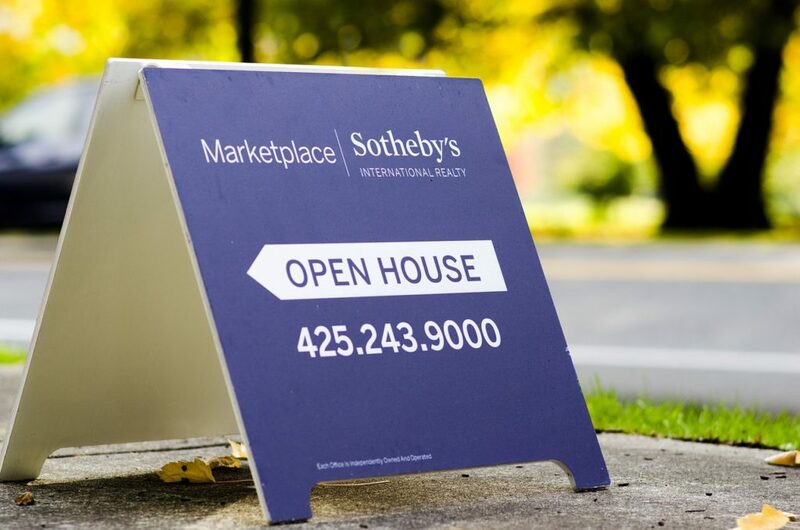 Creating a positive impact on the ease of selling their home while getting a larger offer will make the entire experience better for you and your parents. As the winter months approach, it is important to get your home ready for the colder days ahead. You will want your house to be comfortable while saving energy. This will help keep your monthly utility bills low. 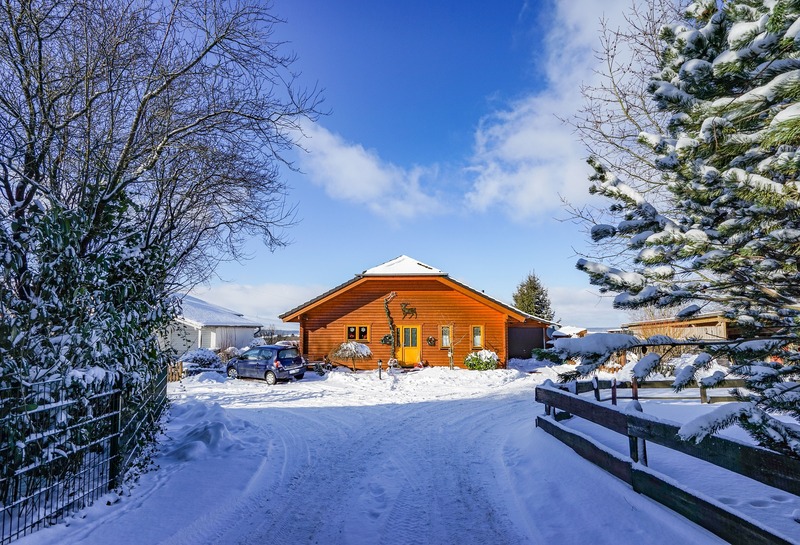 Use the following tips to get your home winter ready in the most efficient ways possible. Older windows allow hot air to escape as well as let the cold air inside. You can fight drafty windows by covering them with plastic. Use a clear, heavy duty plastic sheet attached to a frame that you can affix over the entire window. Or you can apply plastic sheeting directly to the window. As long as it is tightly sealed, it will reduce drafts. The best option would be to install new, energy efficient windows during your NJ home remodeling projects. Modern double, or even triple pane, windows provide an effective barrier between the interior of your home and the frigid air outside. Whether your windows are new or not, there are certain types of window treatments that will keep your home warmer. Look for insulated drapes that can be closed during the night. There are also many varieties of window shades that will add an additional layer of protection to the glass. Set your thermostat as low as you can while still feeling comfortable during the day. During the night when you are sleeping, you can turn the thermostat down by 10° to 15°F. Adjusting it to a lower temperature for eight hours a day can save you roughly 10% per year on your heating bill. Talk to your home remodeling contractor about installing a programmable or smart thermostat that will make it easier to turn down the temperature each evening. Look for leaks that air can escape through while winterizing your home. Places such as around plumbing pipes, recessed lighting, and chimneys often have small gaps that you can seal off in order to keep your home better insulated. Check around doors and windows as well. Use caulk or weather stripping to fill in any cracks that might allow the cold air to come in. Don’t forget about any unfinished spaces behind closets and cupboards. You will want to have these areas insulated and finished off properly. Schedule a routine maintenance visit from your heating and cooling system expert. They can inspect your heating unit to make sure it is functioning properly. You may also need to replace furnace filters monthly throughout the colder seasons. If you use a pellet or wood burning heater, clean out the flue vent regularly, and make sure the appliance is thoroughly cleaned periodically to ensure efficiency. If you are not using the fireplace, make sure the damper is closed. Leaving it open is the same as having a window open. When the fireplace is in use, open any dampers found in the bottom of the firebox or open a nearby window by about one inch. Close any doors opening into this area, and drop the thermostat to between 50° and 55°. Some people don’t actually use the fireplace for heat but love the look of it. In these circumstances, you can have the chimney flue plugged and sealed to prevent heat loss. You can turn your water heater down to the warm setting. This is usually 120°F. It will cost less to keep the water warm, and it will prevent scalding from water that is too hot. If this setting isn’t warm enough to meet your family’s needs, slowly turn it up a little at a time until you find a setting that is ideal. Another great energy efficient option is to install an on demand water heater. This unit will only heat the water you use as you need it. You won’t be paying to keep a full tank of water hot 24 hours a day. While heavy drapes and window blinds are excellent when it comes to keeping the cold air out, you don’t want to miss out on the free heat that the sun provides. Get in the habit of opening all window coverings on any of your south facing windows each morning. The sun that shines in will add heat naturally to your home. Close them again before the sun sets to trap the free heat inside. Those beautiful ceiling fans that you had installed will keep rooms cool in the summer months, but they can also help warm your home’s interior during the winter time. Simply reverse the spin of the blades. When the fan runs in a clockwise direction, it will push the warm air back down into the room. This will also keep pockets of cool air from settling in the corners of a room. 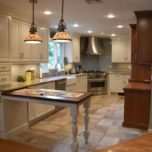 When it comes to a kitchen remodeling project, you need a professional kitchen designer from a design & build company to help you make all of the important decisions. Their job is to guide you, the homeowner, through the entire process so that the end result is a beautiful, livable space that meets your functional, aesthetic, and economical goals. They will make sure all of your selections will coordinate perfectly into the kitchen style and design you have requested. Your kitchen renovation begins with a conceptual design. A Trade Mark Design & Build Representative will first come to your home for a complimentary field visit. During this visit you can discuss the project. Describe exactly what you expect from the remodel and let the designer know your personal preferences as well as what styles you find the most appealing. Your designer will let you know what it will require to achieve your dream kitchen. After this visit, drawings will be created based on your requirements as well as a proposed budget. Both the design plans and the estimated budget will be discussed with you and any necessary adjustments will be made to ensure that the finished project meets with your approval. A good design and build company professional will work with you until everyone is in agreement on the plans before any actual work begins. 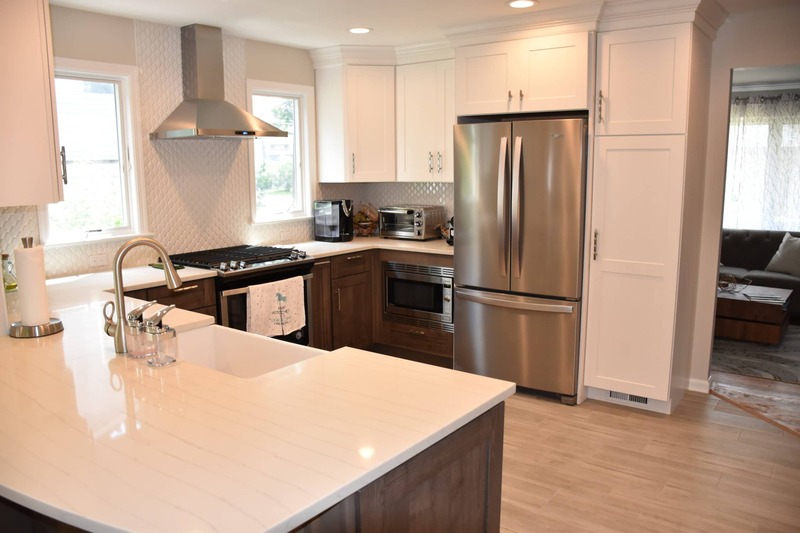 A professional designer will work with you to choose your NJ kitchen cabinets, countertops, plumbing fixtures, tile, and other important elements of your remodeling project. These decisions can feel overwhelming to a homeowner. Walking into a retail space, shopping online, or looking through samples can leave you more confused than when you first started. For example, the cabinets are your kitchen’s furniture. A renovation expert from a design & build company will help you find ones that reflect your personal style while meeting all of your needs. They will guide you through he entire process. Cabinets are basically a box with drawers and shelves for storing items you need, but if they don’t suit your new kitchen or function properly for your individual needs, you won’t be happy. You have two options when it comes to cabinetry. A NJ kitchen cabinet designer can custom make the cupboards and drawers so that they fit your space perfectly or you can choose stock cabinetry and work around these existing pieces in order to achieve you goals. Your renovation designer will help you decide which option will best suit your style and the budget for your remodel. The last step in your renovation project before the actual work begins will be to make any necessary revisions that will incorporate all of your selections into one beautiful design. As the homeowner, you can rest assured that the selections you have made will all coordinate beautifully as well as function properly. Your design and build company representative will make sure this happens by coordinating key elements so that the overall design has a nice flow. 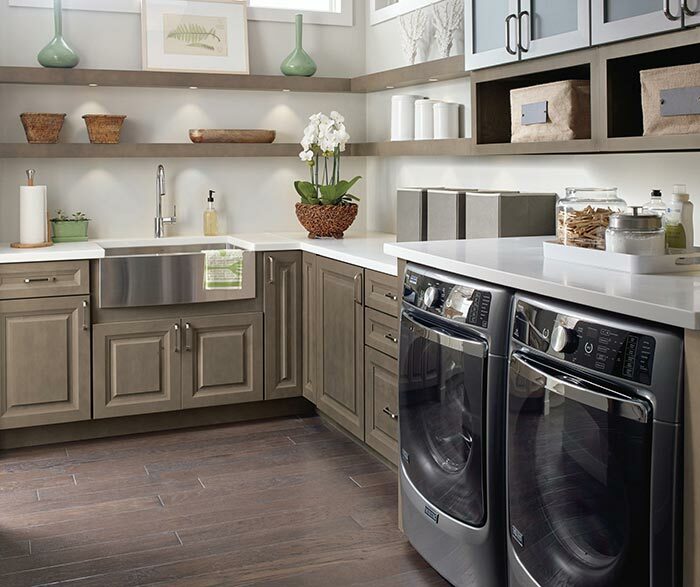 The fixtures, faucets, lighting, cabinet hardware, and any metal finish appliances need to not only look great on their own, but they need to compliment each other. You won’t get this attention to detail with a general contractor. General contractors basically say ”I need X, Y, and Z by such and such date.” This is a horrible way to work, and the end result is never cohesive. Unfortunately, the cost is pretty much the same. If you are looking for a hassle-free kitchen renovation, a design & build company is your best option. Their design team will walk you through each step of the designing stage. They will help you make important decisions, and they will ensure that your finished kitchen is both functional and beautiful with Hawthorne kitchen cabinets, countertops, and fixtures that work together in a cohesive fashion. 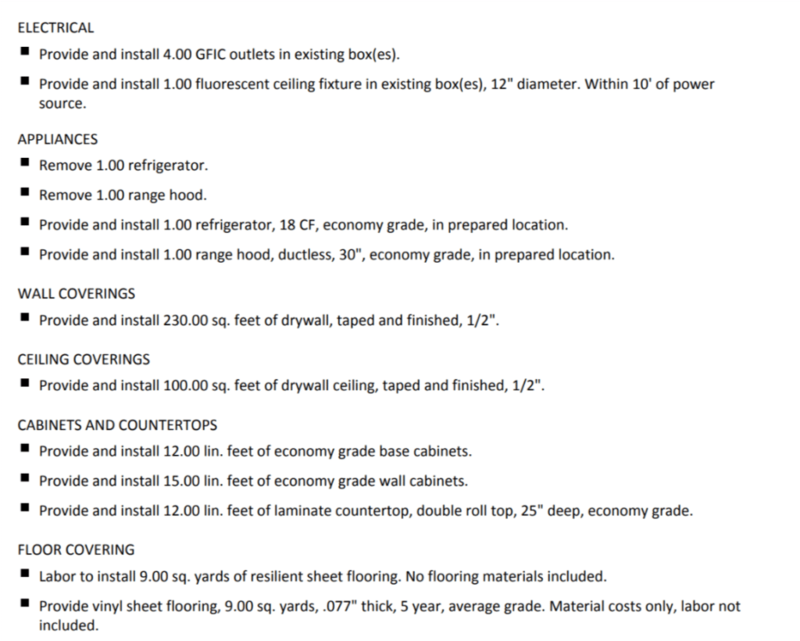 What Makes A Great Home Remodeling Estimate? Article written by Clear Estimates as a guest blogger. Estimates are the backbone of any remodeling job. It’s the first interaction had with a customer, and it’s the framework for financial commitment between both parties. 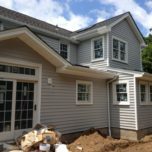 NJ Home Remodeling Estimates should always be upfront, inviting and completely transparent regarding the work involved. Some estimates may take weeks to complete after multiple back and forths, while others can be drawn up in a few minutes. Estimates are important to both parties as a contractor needs to price correctly, and a customer needs to understand what’s within their budget. Estimates are also a great way to outline scopes of work, understanding what is and is not included. An estimate is typically the first interaction between customer and contractor. It’s important to completely understand the customer’s wants and needs and to draft an estimate accordingly. It sounds simple, I know, and there are likely many revisions to occur. Different qualities of items, stone vs plastic, import vs local, engineered vs handcrafted. All can lead to quite a bit of back and forth. This is a crucial phase for the estimator to get right. Your customer has faith in you to work with them in finding the right material for their budget. More importantly, though, they have faith in you to bring their vision to light! It’s about finding that sweet spot between quality and price, ensuring that the scope of work meets the customer’s needs. Does the estimate cover the entire scope of work? This is an important aspect between contractor and customer. Be sure that both parties are on the same page, as you don’t want any disputes later on over expected work. An estimate with great transparency is how you can accomplish this. Be sure that your estimate has a complete itemized breakdown, outlining the scope of work in its entirety. Be sure to also include any kind of legal language necessary. You want to make sure that both parties are aware of the ramifications if the contract is broken or not completed. Since there are no such things as “general legal language” for something like this, be sure to consult with a local attorney that specializes in contracts. In the image below, you’ll see that the contractor has completely outlined the scope of work. Each item carries a sentence of text previewing what the task is and how much of it is being done. A categorized breakdown is typical, in the order that the scope of work should be performed. Make sure your estimate has a personal touch. Not only for the contractor, but also for the homeowner. This is your opportunity to stand out from the competition. How are you different, what sets you apart? Be sure that your estimate has a company logo and even a few pictures related to the customer’s home or materials that might be used. Take it to another level and include past reviews, links to your Houzz and Home Advisor profiles. The more you can show your previous work, the more trust a potential customer might have in you and the work you do. How is your estimate drafted? If it’s transparent and personal but drafted on a piece of paper, you’re going to lose some legitimacy. A great estimate is computer generated and formatted consistently throughout. This gives the customer an easy to read and easy to understand professional format. After you’ve done all that work to make sure the estimate is transparent, personal and professional, how do deliver it to your customer? If you’re drafting back and forth, email may be the best option. It allows for flexibility and for both parties to make revisions in the quickest fashion. In the final stages, though, you may consider an in-person meeting. This is a great time to discuss the estimate, making sure both parties understand the estimate and scope of work (transparency), discuss job timeline and most importantly, solidify the relationship between both parties. 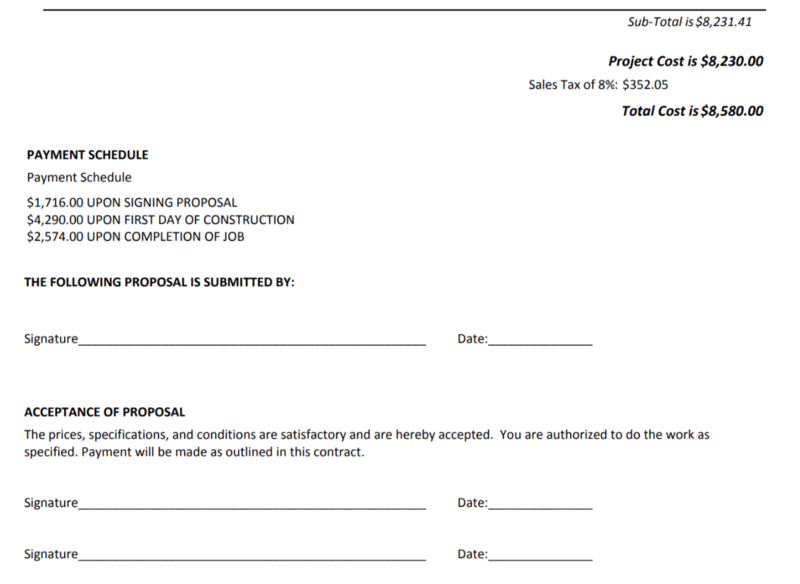 Be sure that the final version of the estimate includes room for a signature, and outlines the total cost agreed upon. If a payment schedule is in place, be sure that is included as well. Clear Estimates is an easy-to-use program that allows you to quickly determine a project’s cost in a variety of fashions, manage and customize a part library, maintain a customer and project database, produce several types of reports and proposals, process change orders, integrate with Quickbooks Pro (c), and update price information in the part library through an automated price updating service. Price updating services provided by RemodelMAX cost books quarterly for 400 regions in the U.S. There are several possible home remodeling projects that you can do to improve your house. These projects will make your home more enjoyable to live in as well as increase the value of your house. Some are large and quite involved, but many are smaller and more affordable. In fact, smaller remodeling projects are gaining in popularity. Homeowners no longer look at their NJ home remodeling as an all or nothing adventure. Rather than completely gutting the house and starting over, many people are choosing to renovate over time by tackling one room at a time. The following are the most popular home remodeling projects that today’s homeowners are considering. Bathrooms have surpasses the kitchen when it comes to the most popular home remodeling project. This is a perfect example of homeowners choosing to do the smaller renovations. When you remodel your bathroom, you can expect a return on your investment of up to 102%. Before tackling the cosmetic aspects, talk to your home remodeling contractor about the plumbing. This should be updated before moving forward. Next, you can focus on the lighting. Attractive and functional lighting fixtures can be placed on either side of the mirror or overhead as task lighting. Recessed lighting works nicely for general illumination. Be sure to include new cabinetry in your design that offers plenty of storage, and add double sinks, a walk-in shower, or an oversized tub for a touch of luxury. 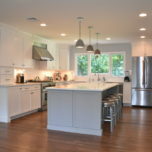 The kitchen is the heart of the home so it only makes sense that it is such a popular room to remodel. Any improvements done to this area are sure to increase the value of your home. Splurge on eye-catching backsplash materials such as stainless steel tiles, metal tiles, or mosaics. Flooring should be durable as well as attractive. Hardwood planks are a top choice among many homeowners. Invest in high-quality cooking equipment too. You will enjoy using it, and it will certainly give you a good return on your investment. Customized cabinetry can look elegant while providing necessary storage, and additions such as an island, large windows, and modern range hoods will take your remodel to the next level. 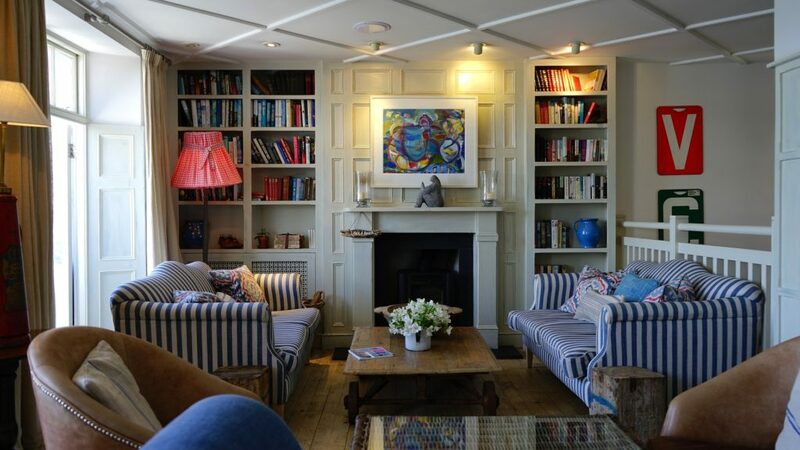 Finished basements always add value to a home, especially if they are turned into a useful and beautiful space. 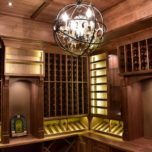 Wine cellars are so popular that they are actually becoming an expectation in many markets. The largest portion of your wine cellar investment should be devoted to temperature control. You need a reliable way to maintain the temperature as well as control humidity. 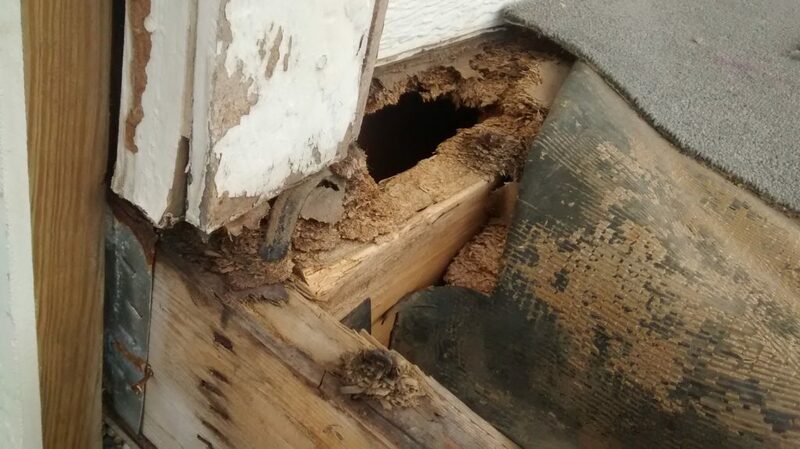 Treating the room with weather stripping, vapor barriers, and insulation will help. When designing a wine cellar you need to include storage for bottles, glasses, and other necessities along with seating. Seating can be anything from a table and chairs to a full bar. Redwood and western cedar are often used in the design for its beautiful appearance and durability. Creating a master suite within your home will certainly make the house more appealing to future buyers, and it will give you a peaceful area to relax in at the end of a busy day. Building a master suite can be expensive. You can easily reach a six-figure price tag if it is necessary to build on to the existing structure and add a master bath. You will save money if existing rooms can simply be converted into a master suite. In return for your investment, you can expect to get half of your final costs back when you sell. When designing the bedroom, keep comfort and simplicity in mind. Walk-in closets are a popular feature to add along with ceiling fans and large windows that provide beautiful views. A family room is another great option when finishing a basement. An open and inviting space is ideal for gathering together with friends and family. It makes your home more livable, and you can expect to recoup more than half of your expenses with the increase in value it creates. Use floor to ceiling storage with cabinetry on the bottom for storing movies, games, and other frequently used items and higher shelves for electronics. Incorporate a wall mounted TV into this design, and consider a sectional and ottomans for plenty of seating when entertaining friends and family. Carpeting will warm up the space, and a gas or electric fireplaces is functional and beautiful. Popular home remodeling projects are not restricted to the inside of the house. Adding a deck to the exterior of your home will add value, give you a wonderful place to enjoy the outdoors, and increase your living space. Homeowners can recoup 80% of their investment when they sell the house. Wood decks will give you the greatest return while costing less than many plastic composite materials. On the other hand, composites require less maintenance. Pine is extremely cost effective while cedar and redwoods are well worth their cost as they are naturally resistant to insect damage and rot.